Our Mission - To prevent and reduce the incidence and trauma of child sexual and physical abuse in Macomb County, Michigan through collaborative, multidisciplinary, and effective family-centered activities. All services are provided at no cost to the families we serve. 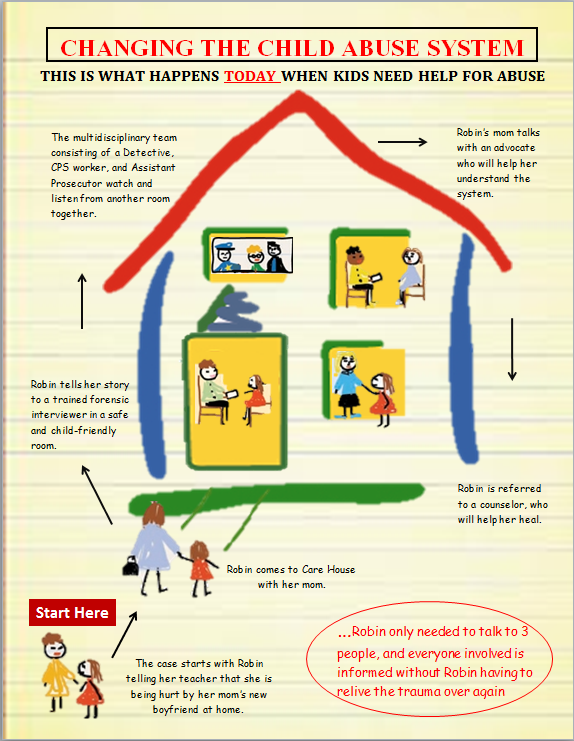 Care House has responded to over 7,800 families and interviewed over 5,800 children since our opening in July of 1996. These children were spared the trauma of multiple interviews associated with most child abuse investigations. Care House offers support and therapy groups for non-offending parents and their children. 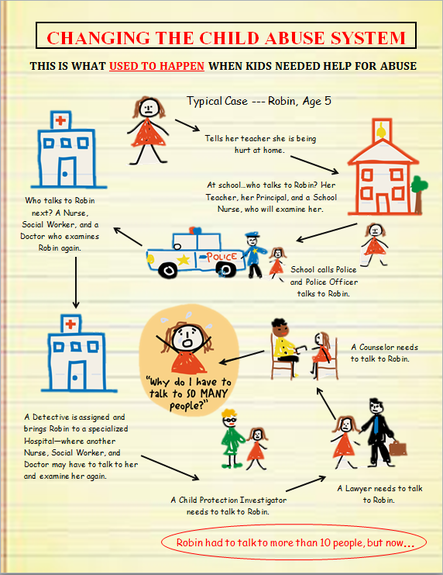 These groups help families to deal with the practical and emotional aspects of child abuse and its investigation. Care House also offers trauma-focused therapy sessions and access to forensic medical examinations if needed to help child victims and their families process the immediate trauma related to the abuse that has occurred. Care House also links families to other vital community resources. Care House is the designated Children’s Trust Fund Council for Macomb County and provides child abuse prevention and education services in the community. Care House is also an accredited member of the National Children’s Alliance – a not-for-profit organization that provides training, technical assistance, and networking opportunities to communities seeking to plan, establish, and improve Children’s Advocacy Centers.